Children at Edlesborough School ‘walk’ a mile every day – their way! Recently, there have been many concerns around physical inactivity and childhood obesity. As they go through primary school, many children put on weight and across the UK, around 30% of children in their final year at primary school are categorised as overweight or obese. Experts have described this as an epidemic and a crisis that must be tackled before it is too late. So far, no approach in the western world has made any difference, with millions of pounds spent on schemes which have had no lasting impact - and the situation continues to worsen. There is, however, an initiative called The Daily Mile which was started in February 2012 by Elaine Wyllie who was headteacher of a large Scottish Primary school. She was concerned by the children’s obvious lack of fitness and, a few years after it starting it, she had shown it to be both sustainable and effective. The result was that the Scottish Government wrote to every Scottish school to recommend that they implement it too. The concept is very simple. Without changing into a PE kit, every child goes out each day in the fresh air to run, jog, walk or travel in any way they choose for 10 minutes. 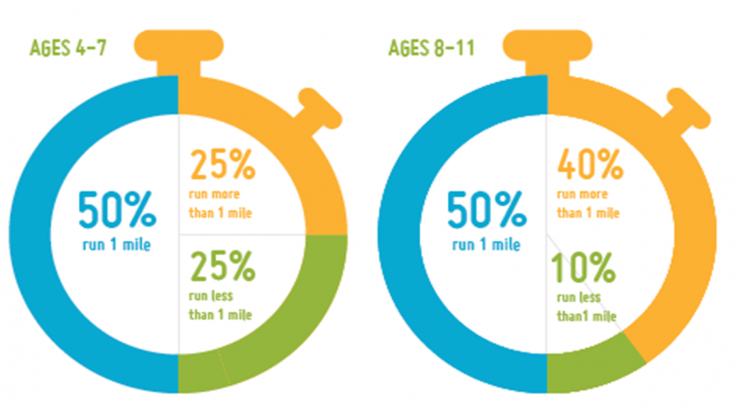 It is not competitive and most children average a mile, with some doing more and some doing less. It is not PE, sport or cross-country but a physical activity which is aimed at improving the children's physical, social, emotional and mental health and wellbeing. It can help children to focus and concentrate in the classroom and raise their attainment. A recent study showed that 66% of primary school children are deemed ‘unfit’. It improves children’s physical, mental, social and emotional health and wellbeing. It is designed to be fun and social with the children learning important teamwork skills. It’s inclusive for ALL children – the whole class goes out together and children with SEN benefit enormously. Children become proud of their fitness and their confidence is raised with a sense of achievement. It takes only 10 minutes a day regardless of the distance covered in that time. 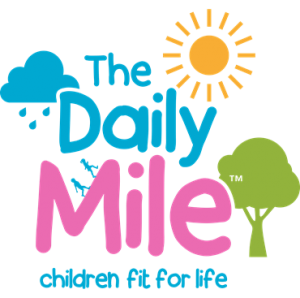 Although the initiative is called A Mile a Day, there is no requirement for children to cover a mile in distance; however we hope that they will build up to this over time. Children can walk at any time, but build the resilience and confidence to run where possible, developing their growth mindset attitude. Children then return to class refreshed and ready to learn after 10 minutes of exercise. It takes place in a safe and secure environment on the field or KS2 playground. Over time, children will eat and sleep better. To launch the initiative at Edlesborough School in April 2017 and add a bit of competition, each class was collectively challenged to travel the 874 miles from Land’s End to John O’Groats. This was recorded by each class on a large poster. Children received certificates when they travelled the 200 miles to London, then further certificates when they reach Leeds and Edinburgh. Finally, when they complete the challenge, they will receive a final certificate and housepoints towards their house total.